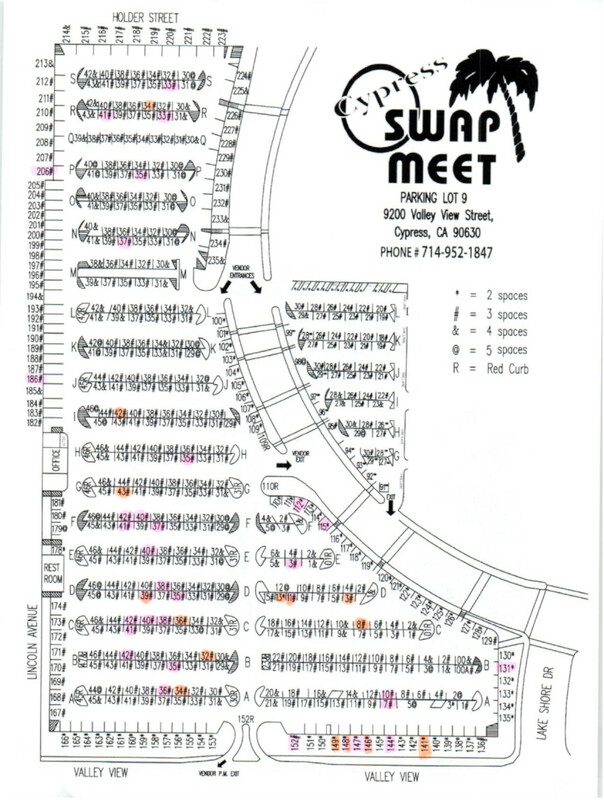 A VALID IDENTIFICATION CARD AND "SELLER PERMIT" ARE REQUIRED TO PURCHASE A SPACE AND SELL AT CYPRESS COLLEGE SWAP MEET. Please DO NOT purchase space(s) from this site if you do not have a valid "SELLER PERMIT". Seller(s) will not be allowed to sell at Cypress College Swap Meet without a valid "SELLER PERMIT" and there will be NO REFUND. PROOF OF VEHICLE INSURANCE AND YOUR SPACE RECEIPT ARE REQUIRED TO DRIVE A VEHICLE INSIDE THE SWAP MEET. Copyright © 2019 Cypress College Swap Meet.